Graduation Announcement and Invitation Sale! 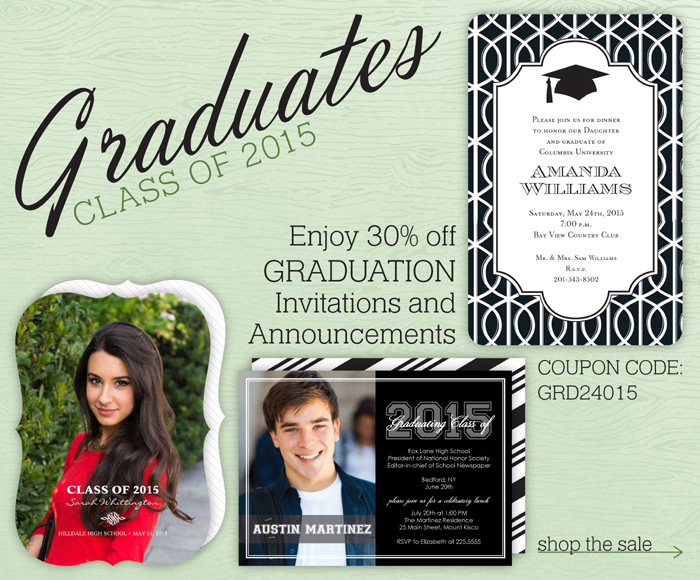 Did you know we do custom graduation announcements and graduation invitations? We do AND we have a GREAT promotion going on now through April 27th for 30% off! Click here to see all of our custom graduation announcements and graduation invitations or stop by the shop in University Place (Tacoma) to see samples in person. Be sure to enter the code GRD24015 at checkout to get 30% off your custom graduation announcements and invitations, or come into our Tacoma shop to let us help you customize in person.